Hi everyone and welcome to our blog for this week. In this edition I unpack the results of the parent survey that was completed in the first few weeks of term. This survey has been very useful as I continue to build my knowledge of our school. The data – along with the student voice surveys and the meetings I’ve had with individual staff members – has helped to inform our direction for this year. 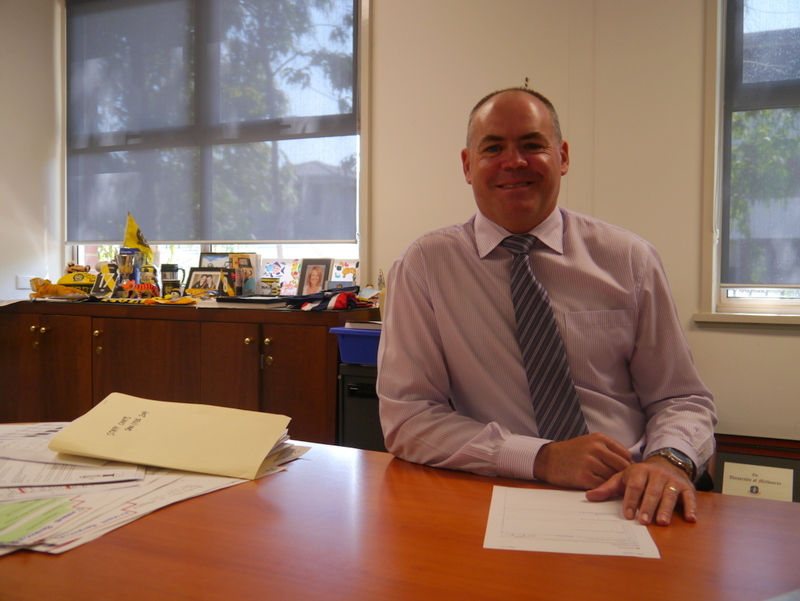 Our school based testing data – including NAPLAN and other assessments – have also helped me to highlight where we need to target our teaching, and where we need to implement specific strategies. Overall, 55 responses were gathered which statistically provide a very strong level of reliability. Over half the survey sample was made up of parents who have been at Kew between 1 & 4 years. Nearly 40% of the survey replies came from families who have been at the school for more than 5 years. The survey highlights that we have lots to be proud of, and that there’s still lots of work to do. I believe that with a consistent and focused effort, working together towards common goals and strengthening what we do well, we will start to see significant improvements across our school. Some of these improvements will be immediate and others will take more time. Continous improvement is an on-going process. 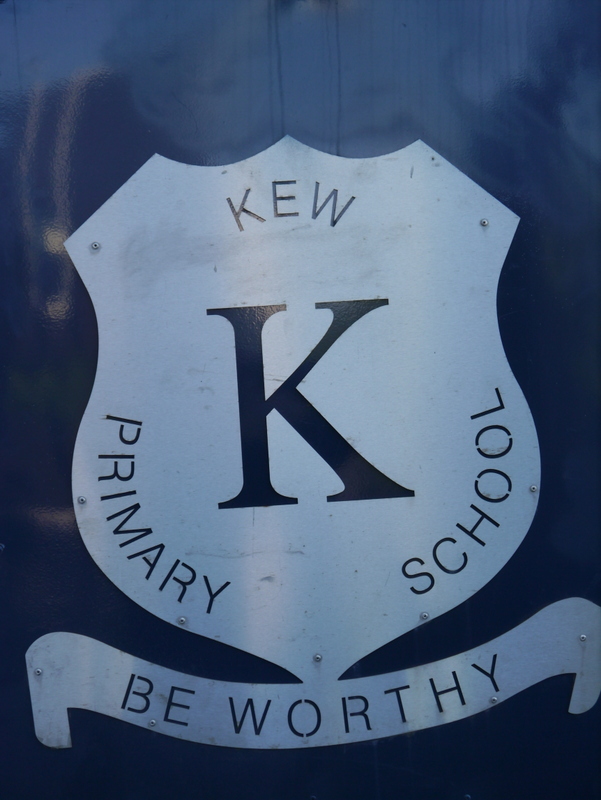 What are the three best things about Kew Primary School? Parents, parent community, enthusiastic teachers, broad range of subjects, sense of community, good French and specialist programs and nurturing teachers, the location, lovely community, healthy canteen, happy children, welcoming community, facilities are good but room for improvement, the non-homogeneity of the families, hard work and enthusiasm of many of the teachers, involved and dedicated teachers, (They are brilliant given the challenges over the last 2 years), good students, has all the fundamental building blocks, all it needs is someone to bring it all together. What respondents clearly appreciate most about our school is its great sense of community, its teachers and the range of programs offered; my experience so far confirms this. 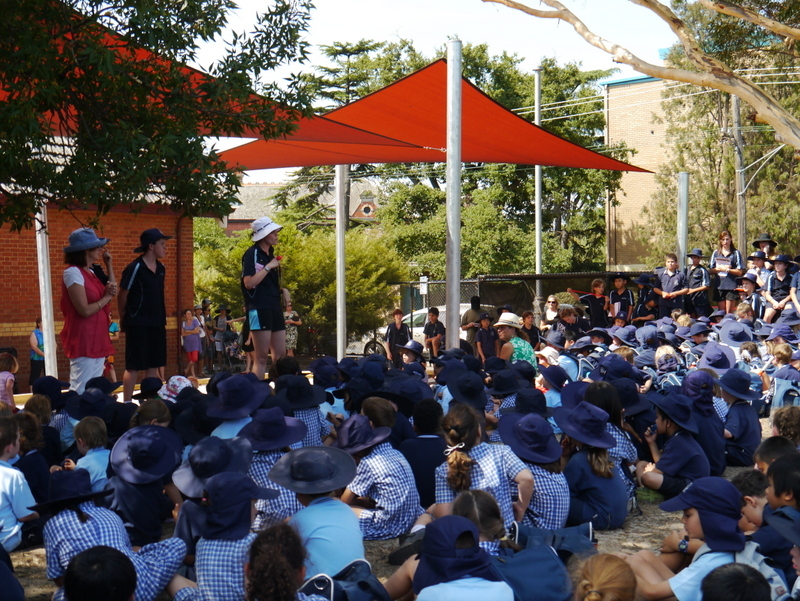 We should be proud of the way our school welcomes, involves and supports everyone involved. There will be lots of opportunities to build on this strong sense of community in the future, and this is what excites me the most about our school. This potential for a rich home, school and community partnership will be a cornerstone of our future success. 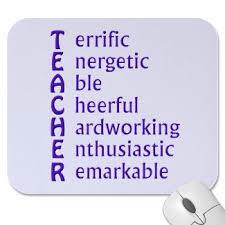 Our staff is very dedicated and able to provide a broad range of experiences and opportunities for our students. My role will be to focus this energy and dedication to help staff work together to achieve common goals. I aim to deliver rich, cohesive and purposeful professional learning opportunities so that all staff can continue to develop their skills and expertise. We will build on our strengths, identify area for improvement and set standards at a very high level. How do you believe our school is perceived in our local and wider community? Overall, I believe the school is perceived very well by the local community; families are seeing 2014 as a fresh start and the opportunity is there for the school to raise standards and improve its reputation; until recently there was probably not such a good vibe, but now the school community is in a much better place and as a consequence the perception has improved; I think the school has a fair reputation, but is not seen as having a clear direction or goal; good school with plenty of potential but let down by poor leadership for a few years then a year of instability; has been though some struggles, but is coming out the other side; a strong community school, but low academic standards, lack of rigour and consistency in teaching, lack of leadership and vision; no longer regarded as a good choice. This feedback highlights where our focus needs to be: doing everything we can to improve the academic standards of our students. This means we will be examining everything we do across our school and then making the necessary changes needed for success. Schools can often take too much on and say yes to too many other things. We may need to do fewer things, but do them well. Energy and resources – both human and financial – are finite. My task is to work with our staff and families to make sensible decisions about what we offer as a school so that we can deliver the very best for our students. We need to improve the way we extend and challenge our students and we need to ensure great academic rigour and have opportunities to celebrate academic success. We need to be more consistent across our grades and across year levels. Our work has already started; teachers are spending time looking at all the elements of their programs and already some changes have been initiated. This work will not be easy and it will involve making decisions that will disappoint some members of our school community. Our school resources are stretched too far and without some changes we will not be able to raise our academic standards to a level of which we can all be proud. We are a good school – but we all want Kew to be a great school. The plans I will develop with our staff and community will be strategic, targeted and enable continued improvement each year. Developing these plans, sticking to them and making decisions based on them will be critical. What things do we need to improve? Increase academic standards, challenging the children to strive for better, improve results and accountability, implementing a focussed and structured approach to literacy and numeracy to become a school that achieves high academic standards, articulation of teaching & learning practices and alignment to student outcomes, greater transparency on NAPLAN results and how KPS is performing, communication between teachers and parents (the introduction letters this year from the teachers was much appreciated). Well an extensive list! Improving academic standards is obviously the main concern here and we have already started on this journey. I will keep you informed as we introduce different elements of our plan. Good communication is key to everything and this means keeping parents informed about the progress we are making, articulating what we are doing in our classrooms, and explaining what you can do to assist. This year we will be implementing three way learning conferences. These will replace traditional parent teacher interviews and involve the student sharing some of their achievements and then working with their parent/s and teacher to set a range of challenging learning goals. We will also be improving our portfolio process so that student learning becomes the real focus. For years 3-6 this means a digital version and for P-2 a collection of everyday style work samples that can be accessed more frequently. In this way, teachers will be able to support our students in understanding more about their own learning, and then work with them to develop appropriate and challenging goals. We are also developing a more consistent approach to behaviour management. This will help us deliver a more focused and orderly learning environment. This approach will be based on positive reinforcement, but will also include a range of consequences that will be followed through if students make choices that interfere with the safety and learning of other students. I plan to run an open forum for parents later this year to explain the process of determining our staffing structure for next year and outlining how school finances operate. In this way parents will be able to better appreciate and understand how and why these decisions are made. Being a passionate muso I recognise it would be great to have a music program at Kew. However, we are not in a position to employ any new staff and are actually exceeding our financial allocations around staffing. If we were to run a music program, it would mean having one less classroom teacher and I do not believe this is in the best interests of our school. What would you direct school and community raised funds towards? Educational resources, playground equipment, junior school playground, air conditioning, technology, improving the oval, art room kiln, improve the music room and music program and performing arts and drama program, a running track, better sports equipment, new readers for the junior/foundation years, synthetic surface on the oval, your promise of more professional development is great, freshen up the stairwells, the list is endless. Easy to see the themes here: reading resources, ICT and other resources to support the curriculum, the oval, air conditioning. These are a mix of large and expensive, medium and smaller projects and I aim to develop a clear plan with School Council and then communicate this to the school community. We will also need to develop a master plan for improving our school oval. This will be in the form of a community forum where different options can be presented and the merits of each of discussed. A decision will then be made so that an action plan can be delivered as funds are raised. There will be regular communication as to how fundraising and voluntary funds are spent and what resources are most urgently needed. Overall how satisfied are you with the school? Most responses to this question were between satisfied and mildly satisfied: our starting point is just above 6 out of 10. I accept the challenge of increasing parent satisfaction with our school. I also accept the challenge of increasing staff satisfaction and, most importantly, student satisfaction. The more satisfied we are with our school, the more effort we put in and the better results we achieve. I know that I enjoy my work and, as such, I do everything I can to do my best each day. If students enjoy their time at school, and are happy in their learning environment, they too will try their very best. If you are ever unsatisfied with our school – make a time to come and speak with your child’s teacher or with me. I welcome the opportunity to work through issues with you. I may not always be able to deliver exactly what you want, but I will do what I can to address your concern as best I can. I also encourage you to bring a solution and be prepared to look at things from a different point of view. I hope you will understand that the decisions I make will be in what I believe are in the best interests of our students now and in the future. This entry was posted in School management and tagged Kew Primary School Survey by jacquitomlins. Bookmark the permalink. We have a Principle that is willing to hear the good and the not so good, and respond with honesty and respect, and with a vision of where he wants to take our school that aligns strongly with how parents feel. I feel heard, happy to be led (the vision is inspiring), and ready for action, despite what sacrifices we might have to make along the way.